The top 5 weekly music countdown continues this week with very minor revisions to the playlist. Unrivaled at the number one position is still 3o billion gang leader, Davido and his unshakeable Chioma, sorry “Assurance“. Joining the countdown this week in an unusual yet beautiful welcome, is the fresh and banging hot Starboy collaboration between Port Harcourt first son, Duncan Mighty, and Wizkid. 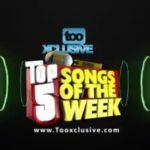 “Fake Love” debuts at number 2 on the chart for the TooXclusive top 5 Nigerian songs of the week. 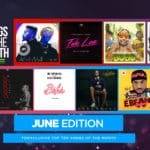 DMW champ, Mayorkun, places third with his Davido-assisted track “Bobo“, which is followed closely by Tekno’s “Jogodo” and Olamide “Kana” featuring Starboy, Wizkid. Watch the video below and please share in the comments section. 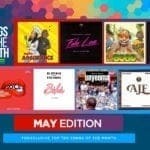 “Top 5 Nigerian Songs Of The Week (feat. “Fake Love” “Assurance” “Jogodo”)”, 5 out of 5 based on 1 ratings. where is BABA by djSpinall x Kiss Daniel?? Dj Spinall x Kizz – Baba beats Assurance over and over ! !